In addition to the dozens of major panels, workshops and CLEs offered at the #Law4thePeople Convention, check out this wide range of parties and special events we have scheduled! (NOTE: Events marked with an asterisk * are paid events. Tickets available online.) All events will take place at the Benson Hotel unless indicated otherwise. Kick off the convention Thursday evening for a reception sponsored by the NLG National Office and the 2018 Law for the People Awardee, the National Immigration Project! Then, listen to an inspiring Keynote Address delivered by Seattle Councilmember Kshama Sawant, and presentation of the Arthur Kinoy Award to Herman Bell and Carol Weiss King Award to Ann Benson. FREE and open to the public! 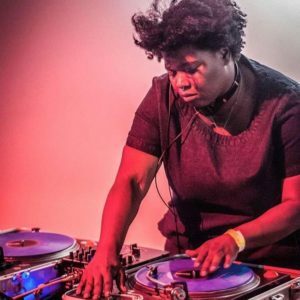 As soon as the keynote program wraps us, Guildies of all generations are welcome to join the Portland chapter and DJ Deena Bee at Dig A Pony for the convention student party! We’ll provide snacks and a dance floor, you provide the energy! Costume-optional! Update: We regret that Walidah Imarisha is unable to speak at the luncheon. Given the history of this annual event (originally known as the “Women’s Lunch”), its role in intentionally centering gender in the Guild, and this particular political moment, we will instead use the space to have an important conversation about patriarchy in our movements and organization. As such, we will host a “Presidential Conversation” with past and present women presidents of the Guild and a TUPOCC Co-Chair on challenging misogyny and building an anti-sexist culture and organization. Join the NLG’s International Committee and Labor & Employment Committee (two of our largest!) as they present the the Debra Evenson “Venceremos” Award to Judith Berkan and Marjorie Cohn. FREE entry! 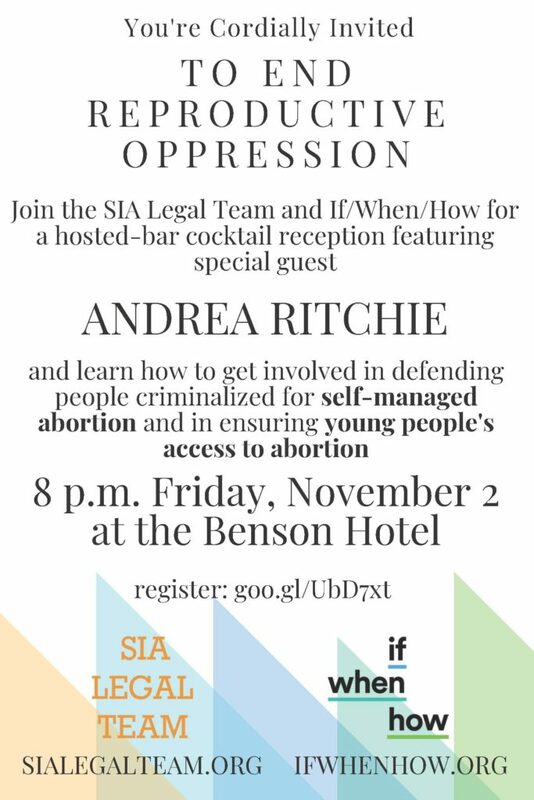 You’re invited to join the SIA Legal Team and If/When/How at the Benson Hotel at 8PM for a cocktail reception featuring special guest, NLG member Andrea Ritchie. We will also be providing information on how you can get involved in defending people who have been criminalized for self-managed abortion as well as helping to ensure youth access to abortion. Please RSVP here and check out the Facebook event! We look forward to seeing you there! 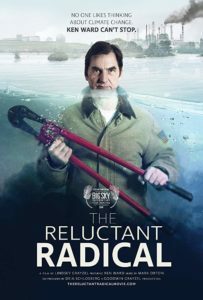 The NLG is excited to host the showing of two films that both have strong Guild connections: Citizen Clark, A Life of Principle, which will be introduced by long-time NLG member Abdeen Jabara, and The Reluctant Radical will be introduced by Director Lindsey Grazel.